Desc: Landstrom's Black Hills Gold Sterling Silver handbag necklace. 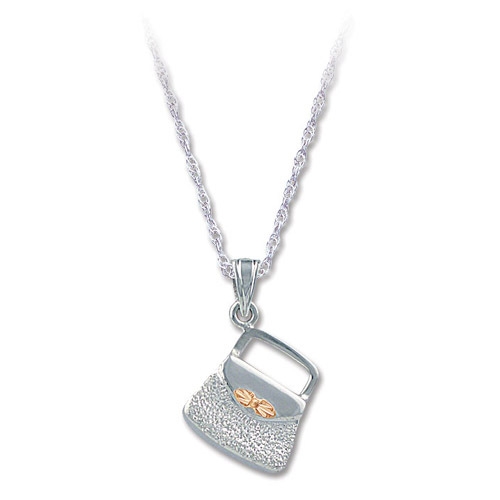 The pendant is fashioned to resemble a lady's handbag. The handbag is Sterling Silver with rose gold leaves as accents.